St Ives is a wonderfully photogenic town. The dramatic coast of West Cornwall combines with St Ives’ unique clear light to create scenes simply crying out to be captured. 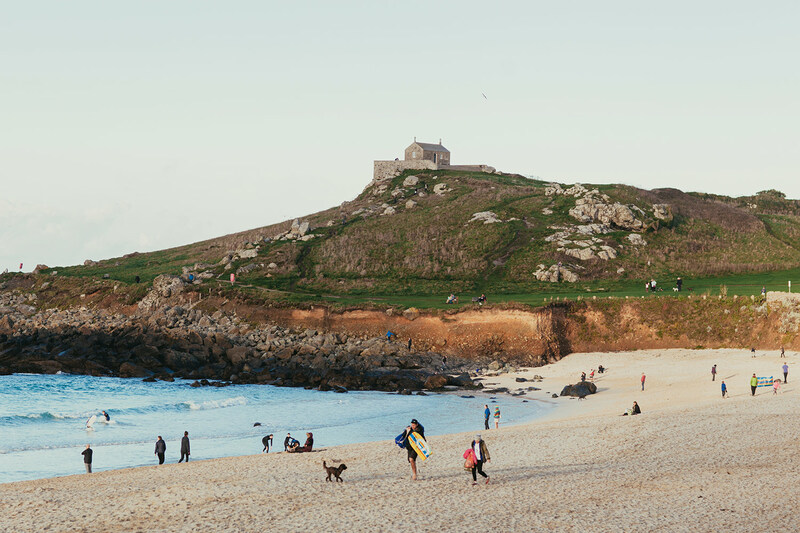 Whether you’re a serious photographer or simply want to document your stay on Instagram, try these spectacular St Ives photo spots. The Island is the headland above Porthmeor Beach, capped with the diminutive St Nicholas’ Chapel. From the top, choose your view: the rocky Atlantic coast, the surfers on Porthmeor, the winding streets of the town, or across the bay towards Godrevy Lighthouse. If you want to get your photographic bearings in St Ives, the Island is a great place to start. Up above Porthminster Beach, the South West Coast Path leads from the east side of the beach towards Carbis Bay. There are amazing views in both directions along this stretch of path, and every few steps seem to bring a new photo opportunity. It’s also a fantastic spot for sunsets. 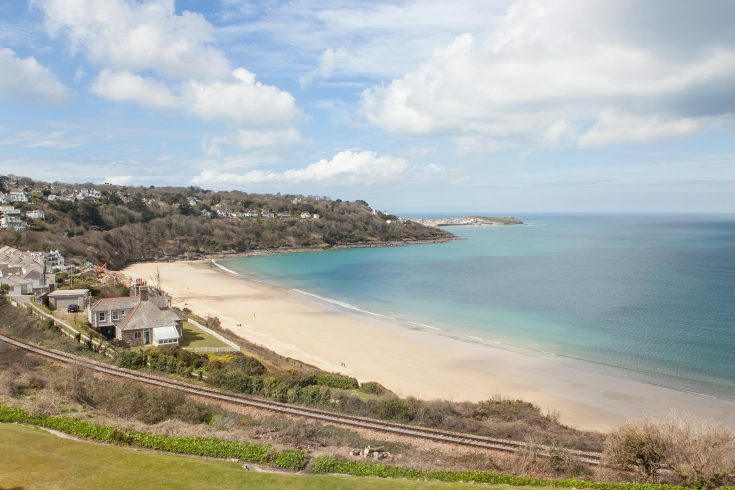 Wooded areas, the old huer’s hut, and visible shipwrecks on Carbis Bay Beach all add interest. The Warren is a winding little hill in the town, home to pretty little former fishermen’s cottages that are now mostly holiday lets. Leave Porthminster Beach past the Pedn Olva Hotel (and their roof terrace is definitely worth a pit-stop, using the thin excuse that the views across the harbour are amazing) and head down The Warren towards the harbour. The cottages nestle close together, which doesn’t seem to offer a promising vista: then, there’s suddenly a gap between buildings, and the blue sea of the harbour appears. This is a great place for the classic harbour-beach-town-Island shot. 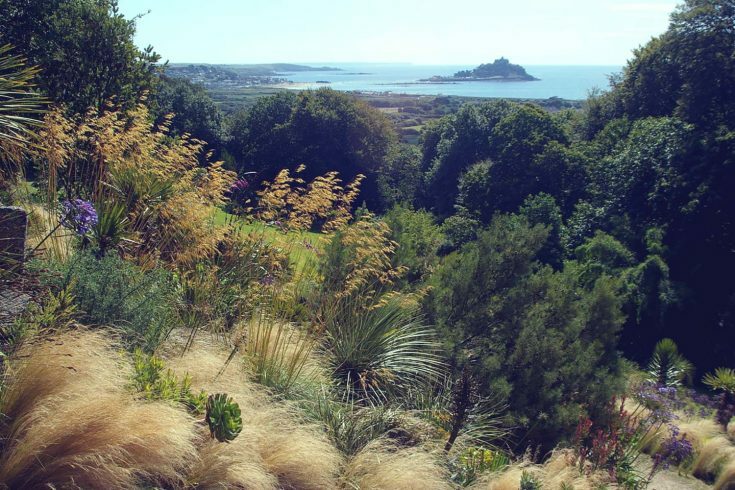 This small garden’s un-Cornish name commemorates a Crimean War battle. 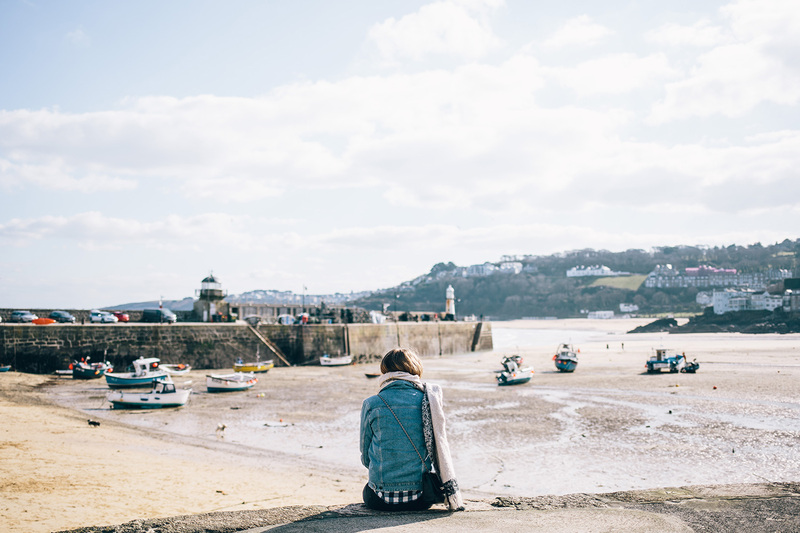 A favourite spot for photographers, artists, and pasty-eaters, the Malakoff is another location where you can capture that classic St Ives harbour and town image. St Ives’ modest bus depot is also known as The Malakoff and shares the fabulous view across the town. Not the safest spot for photography, although you can get a great shot from upstairs on the open-top bus as it reverses into the depot! Stand on Smeaton’s Pier to capture picturesque fishing boats, or views back towards the harbour and town. On the beach itself, there are all sorts of inspiring colours and textures if you’re after detailed images; and the arches under the pier provide dramatic framing of the sea beyond. This is slightly out of town, but worth the short journey. Take the B3311 towards Penzance, and pause on the moors by this lonely-looking ruined engine house. Giew Mine is about 2 miles from St Ives in the small village of Cripplesease, and there’s a small off-road car park area next to it. The engine house dates from the 1870s, and has been abandoned since 1922. Whatever the weather, the imposing silhouette of this industrial “Cornish castle” with its backdrop of moors and sea is always striking. 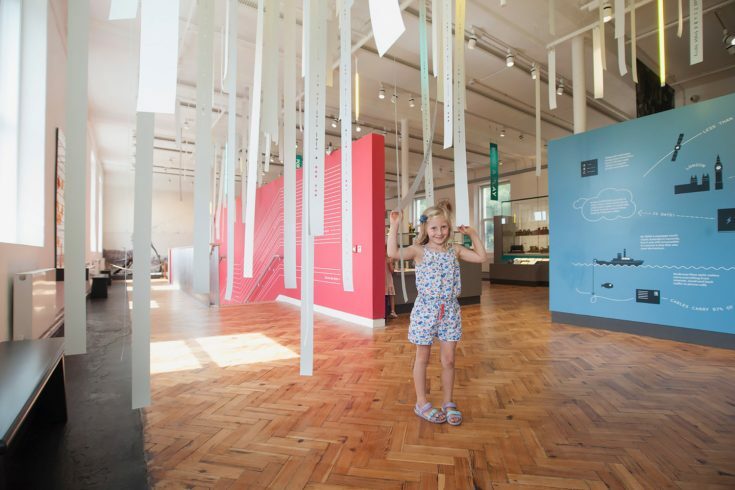 You’ve been catching tantalising glimpses of Godrevy Lighthouse from across in St Ives – so grab your camera, and get a closer look. 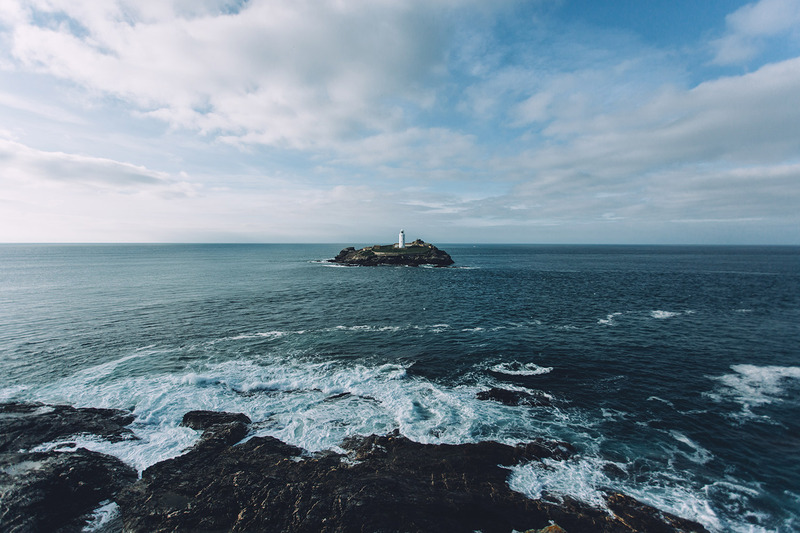 The lighthouse that inspired Virginia Woolf is just a short drive away, the far side of Hayle. A great spot for sweeping vistas or nature photography, Godrevy beach has a wild beauty to it whatever the time of day or season.